Elsa Oliver, 28, was escorted into the courtroom for her arraignment Tuesday. Her attorney told the judge that Oliver was mentally unable to assist in her defense. Alberto Sierra (top right), 22, pleaded not guilty to assault charges. Jeremiah Oliver was last seen on Sept. 14. FITCHBURG — State officials acknowledged Tuesday there was a “serious failure” in their handling of the case of a 5-year-old boy, firing the social worker and supervisor who, despite reports of abuse, let months pass without visiting him. The boy is now feared dead. Jeremiah Oliver was last seen by a relative Sept. 14, according to officials, but, improbably, no one from the state’s social services agency noticed that he was missing until nearly three months later, on Dec. 2. That was when his 7-year-old sister told staff at her school that her mother’s boyfriend had been brutally beating her, her mother, and her two brothers. On Tuesday, the Department of Children and Families said the social worker assigned to the boy’s case failed to make monthly, in-person visits to Jeremiah’s home, as required by agency rules. The supervisor failed to enforce that policy, the agency said. “This case represents a serious failure on the part of the social worker and supervisor assigned to the family,” Olga I. Roche, the DCF commissioner, said in a telephone interview during which she read from a prepared statement. 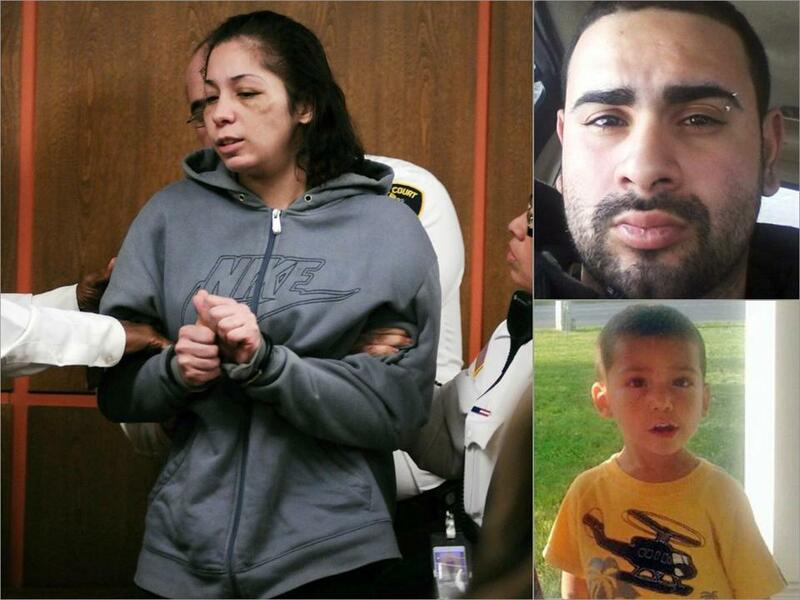 Jeremiah’s mother, Elsa Oliver, 28, and her boyfriend, Alberto Sierra, 22, have been charged in connection with the case, which is being treated as a potential homicide. The sister told police that Sierra punched and whipped Jeremiah and his brother with a belt. 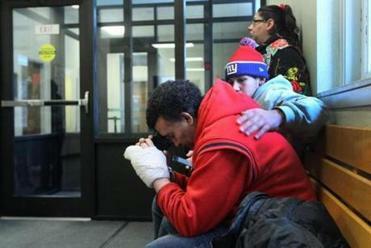 In one instance, one of the boys may have had his pinky finger cut off, she said. The alleged abuse occurred even though the family has been under the supervision of DCF since September 2011, when the agency first received a report of neglect in the home. Sandro Oliver, a relative of Jeremiah Oliver, waited at Fitchburg District Court Tuesday where Elsa Oliver was arraigned on charges related to attacks on her children. The agency’s failure to supervise Jeremiah and his family is particularly troubling in light of the fact that DCF officials had ordered intensive reviews of all cases involving infants and children under age 5 this year. The review was done after they learned of two brutal assaults on infants within weeks of each other in July when a 3-month-old Lynn infant died, and a Martha’s Vineyard baby nearly died. Top DCF officials required supervisors in the regional offices to go over each case involving younger children. For children between 3 and 5, the reviews were to take place in September and be completed by mid-October. It is unclear if the review of Jeremiah’s case was carried out and, if so, when. If it occurred just before he went missing in September, it is possible it raised no red flags. Also unclear was whether a later review failed to uncover negligence by the case worker and supervisor. On Tuesday, the union representing DCF workers denounced the firing of the social worker and supervisor. “We’re incredibly disappointed that Commissioner Roche is more interested in finger-pointing than accepting responsibility for yet another tragedy under her watch,” said Jason Stephany, a spokesman for Services Employees International Union Local 509. Though the first report of abuse in the family came in 2011, the most recent trouble appeared to begin in May, when Elsa Oliver started a relationship with Sierra. That month, staff at Reingold Elementary School called DCF officials to report that one of Elsa Oliver’s children complained of being beaten by her. DCF has not said how, if at all, it followed up on that report. In June, state officials said, the family’s social worker received a message from Jeremiah’s day-care center saying that his mother had informed them that he would be leaving day care that day and moving to Florida to live with his grandmother. The social worker, officials said, failed to check out the report. It is unclear what took place in the months that followed, but the last time Jeremiah was seen alive by a relative was on Sept. 14, police said, months after the reported departure for Florida. Police have not given any details about what happened between mid-September and now. The fact Jeremiah had been missing for months did not come to light until Dec. 2, when his sister told guidance counselors at Reingold Elementary that she had not seen her brother and that Sierra had been abusing her and her family. As a result of her report, DCF officials took her and her other brother into custody. Authorities then interviewed the sister about the abuse on Friday. She said she had seen Sierra punch her brothers and hit them with a black belt with a gold buckle, causing one of them to bleed, according to a police report. She said she had seen Sierra hit one of her brothers with such force that he was sent flying off a toilet onto the floor. The girl said she herself had been beaten by Sierra shortly after he moved in with her mother in May. The girl told police that she had also seen Sierra punch and slap her mother, leaving bruises. She said she had seen Sierra hold a knife to her mother’s knee and face, according to police. Sierra has pleaded not guilty to two counts of assault and battery with a dangerous weapon and two counts of assault and battery on a child causing bodily injury. He is being held without bail pending a dangerousness hearing set for Thursday. Oliver was arraigned Tuesday on charges of being an accessory after the fact to attacks on her children and two counts of reckless endangerment of a child. Authorities say she took no steps to care for her children and that evidence suggests she tried to conceal the abuse and to help Sierra avoid arrest. When Oliver was led into Fitchburg District Court, she looked panicked and distraught and cried, “I can’t,” to the court officers holding her arms. The psychologist who evaluated her, Hanya Bluestone, said Oliver had a history of psychiatric treatment and substance abuse and had recently taken a turn for the worse, becoming more irritable and paranoid and relying on her children to care for her. Bluestone said Oliver also feared she was being poisoned. “I am concerned about her rational understanding today,” Bluestone said. A judge ordered Oliver to undergo a mental evaluation. When Oliver attended a child custody hearing Friday, she “was observed to have bruises, disheveled hair, and appeared to have been assaulted,’’ according to a police report. She also “refused to cooperate and fled the courthouse,” State Police wrote. Jose Oliver, the biological father of the three children, lives in New Britain, Conn., and said he has not been in contact with his former wife or three children since she left him a few years ago. He said he had been using drugs. Last year, Elsa Oliver sought a restraining order against Jose Oliver, according to court records. A divorce proceeding was begun this year but not followed through by either party. 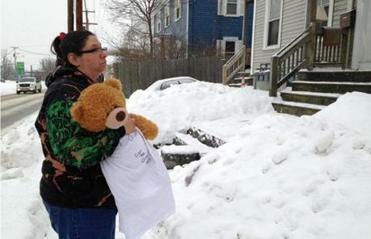 Jose Oliver said he did not know Jeremiah was missing until police contacted him on Monday. Sandro Oliver, 20, recalled Jeremiah playing with Hot Wheels cars and holding the boy on his own bike as the child clutched the handlebars and steered. He said he could not figure out how a young boy could disappear for three months without raising questions. John Ellement and Akilah Johnson of the Globe staff contributed to this report. Levenson can be reached at michael.levenson@globe.com.